Most people never give much thought to their home's air quality, but this is a mistake. The air inside of a tightly sealed modern home can be more polluted than a dirty city street. This is because pollutants from cooking, cleaning, and other daily activities keep building up inside and don't have anywhere to go. 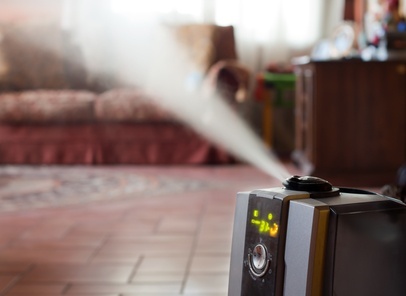 Using an indoor air purifier to help clear these pollutants from your home has three proven benefits. Do you find yourself turning on the heater or air conditioning because the air feels too stuffy or otherwise uncomfortable? The real problem isn't the temperature but dirty air or reduced oxygen. Making your house cooler or warmer only temporarily masks the issue. Install and run an air purifier instead. They use far less energy than even the most efficient furnaces and air conditioners. You may even find that your tolerance to warmer or cooler temperatures grows as well. Indoor pollutants contribute to health problems like asthma, lung issues, respiratory diseases, heart disease, and even cancer. Breathing dirty indoor air is no different than breathing in the car exhaust next to a busy road or the fumes at a factory. You spend far more time in your home eating dinner, watching TV at night, getting eight hours of sleep, and eating breakfast. If you want to protect yourself from air pollution, start by cleaning up the air inside of your home. Do you feel down a lot while you're inside? Do you immediately feel more energetic when you head outside or off to work? Indoor air pollutants force your lungs and heart to work harder to overcome their negative effects, and they also reduce the oxygen in your home's air. Cleaning up your air will send more oxygen to your lungs and brain, and you should quickly feel your energy levels rise.